The following opinion piece was received on 17th June 2014 from a building inspector for the insurance industry. What is clear from any assessment of BC(A)R SI.9 is that the result of the ‘new’ system of Building Regulation compliance/enforcement has not improved consumer protection. The consumer has been afforded no greater protection under the new requirements than what previously existed. However, the cost to the consumer of achieving the same result will no doubt be greater due to the clear and auditable paper trail now required of the professionals involved. BC(A)R SI.9 has in effect just created a paper trail to support the previous system of building regulation ‘sign off’. The same professionals are still going to ‘sign off’ projects, albeit with a differing cap on i.e Design Certifier, Assigned Certifier etc. 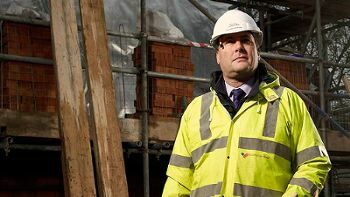 The Local Authority Building Control officials (BCO’s) will still maintain a ‘hands off’ approach to the inspection of the works i.e a 10-15% target of commencement notices rather than a 100% inspection requirement. Responsibility for building regulation compliance will still ultimately rest with the consumer. Should the consumer require redress for any building regulation non compliance issues that may result in a structural defect, moisture ingress, a risk to life etc. then redress (if possible) will only be achieved through the courts where the consumer will have to prove professional negligence against the professionals involved. The ongoing regulation of the professionals providing services in this arena appears to be completely overlooked. In the absence of an independent system of ongoing monitoring and evaluating the professionals involved, it is difficult to ensure the integrity of the system of Building Control. The professionals involved need to demonstrate that building regulation compliance will (at design stage) and has (at construction stage) been achieved. There would appear to be an inherent conflict of interest when the Design Certifier may also be the Assigned Certifier. It is only logical that the Assigned Certifier is ‘independent’ of the Design Certifier, i.e. the assigned certifier has no other financial interest in the project other than their involvement as AC. However, what is done is done. What is the best way to address the issue of consumer protection? Mandatory Latent Defects Insurance (LDI) may be one solution. LDI could provide protection to the consumer and in effect provide independent ‘regulation’ of the professionals involved. LDI is not a panacea for the flaws in BC(A)R SI.9. However, as the insurers will only issue unendorsed warranties on projects that present a normal/ acceptable risk, to achieve this, the insurers will monitor the risk stages of a project through independent plan check assessment (design) and onsite inspections (construction) of the relevant risk stages of a project. LDI will not police the professionals per se, however, if any building regulation non conformities are not addressed during the life of the construction process then an unendorsed warranty would not be issued. The recent RIAI calls for mandatory LDI on projects are laudable. It is only a pity that this was not called for when we were building 90,000 housing units a year. A note of caution to the professional bodies, be careful what you wish for as you might just get it!